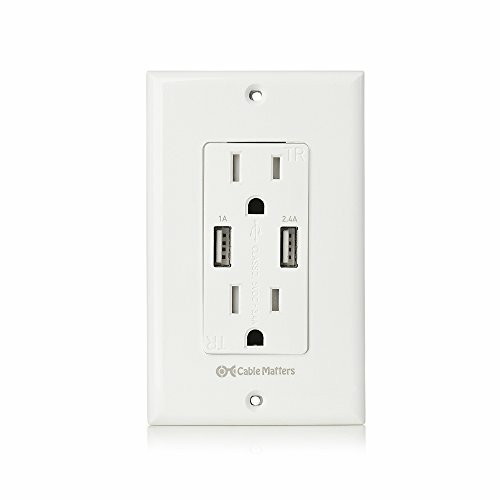 The Cable Matters Tamper Resistant Duplex AC Outlet with USB Charging and Faceplate is the ideal solution for creating a centralized charging station at any wall receptacle location in the home or office. Charge your phone or table with only a USB charging cable instead of a bulky wall adapter. This UL Listed receptacle with TR, tamper resistant AC outlets complies with local residential building codes and prevents the accidental insertion of foreign objects. The screw-on faceplate provides a safe and secure installation with a professional look.